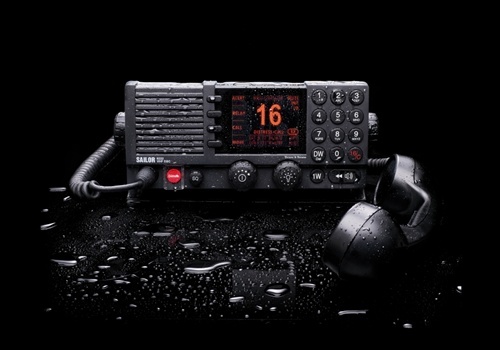 The new SAILOR 6222 VHF DSC continues the SAILOR tradition of setting new standards for GMDSS VHF design. It is a vital tool for daily operation and has been developed for the harsh maritime environment as part of the innovative SAILOR 6000 Series. It is based on the same foundation of high reliability, ease-of-use and leading-edge functionality that has positioned SAILOR as the top name in maritime VHFs. The new SAILOR 6222 VHF complies with the new DSC spec. 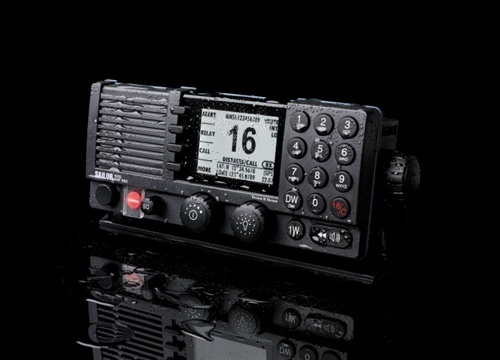 493-13 for VHF DSC Class A, which is part of the mandatory requirements for SOLAS vessels, and many national GMDSS requirements. In addition to its role as part of GMDSS it is one of the most advanced, high quality and powerful VHF radios available today, it is suited to a wide variety of maritime operational communications on board fishing vessels, merchant, offshore ships and workboats. 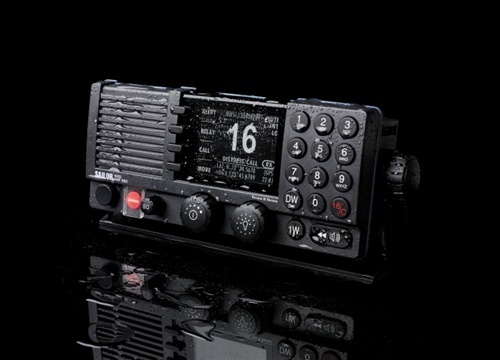 The SAILOR 6222 VHF is the first ever DSC Class A to be rated waterproof to IPx6 and IPx8, making it possible to install on open workboats or outside deck areas.